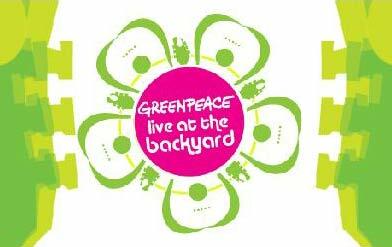 The 2007 Greenpeace Mumbai Concert kicks off on 5th June, which is The World Environment Day. Called as ‘Greenpeace – Live at the backyard’, this promises to be a heavy rocking concert to be held in Mumbai between 6 and 10 pm at MD College Ground, Parel, Mumbai. The ticket is priced at Rs.500/- & the bands playing are: Brahma , Vayu & Zero. Siddhartha Dutta, Regional Manager, Greenpeace. You can purchase the tickets online to from the above website url. Greenpeace is an independent campaigning organisation that uses non-violent, creative confrontation to expose global environmental problems. To maintain its independence, Greenpeace does not accept donation from governments or corporations but relies on contributions from individual supporters and foundation grants. In India, it has been active since the last ten years and has successfully campaigned against environmental ralated issues like Toxic Pollution, Global Warming and cilmate change. Save the Ancient Forests and Save Our Seas are two of our ongoing campaigns, gaining momentum as we speak. Greenpeace exists because this fragile Earth deserves a voice. The 5th of June is Worlds Environment Day, and since music and peace go hand in hand, what better way to celebrate the day than a concert. For greenpeace on Earth. Can I have your e-mailid please?I would like to say something regarding power generation,which is eco-friendly& used in other countries.When I write to various organisations(Administration&Research Institutions),I get a very poor response.I would like to give you the details,so that you can discuss with them more effectively.